PERFECT YOUR SELFIE FOR TINDER. At the end of February, I was invited by Center for the Study of Cannabis and Social Policy founder Dominic Corva to attend a private mixer and recognition party. 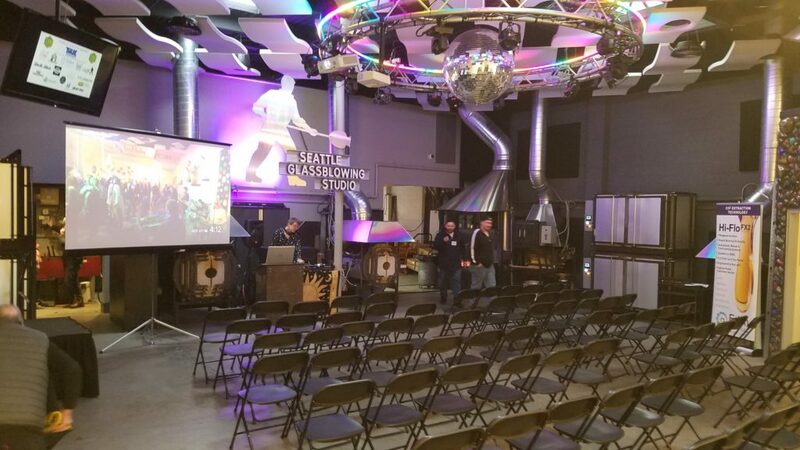 The event was held in Seattle, WA, just under the monorail on 5th Ave, near the Belltown neighborhood. 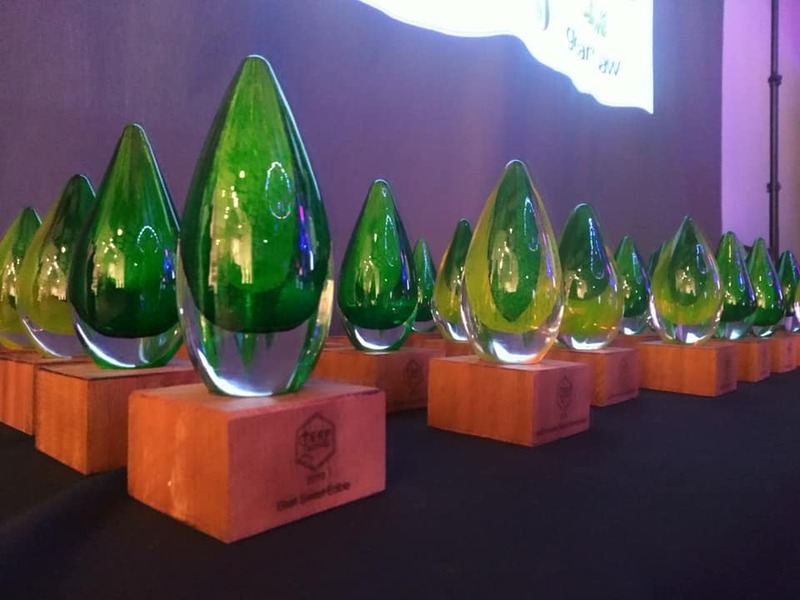 Of course, designated representatives of all the producers and processors who had entered their product in the competition were on hand to witness their potential victory as the cannabis competition results were released late in the evening. 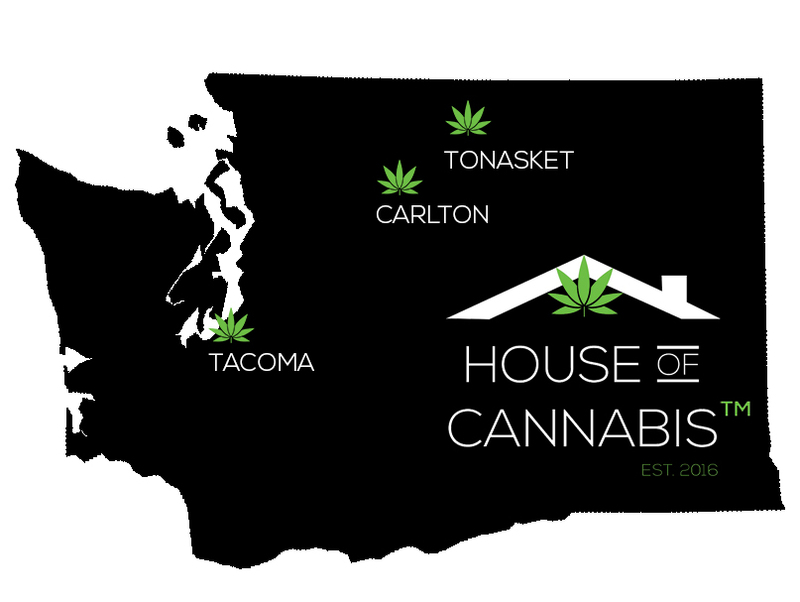 I spent the early part of the evening consuming some fine cannabis from TopShelf Cannabis in the pre-roll format, chatting with some of the reps from Uncle Ike’s in Seattle, and visiting @RosinHoe in the dab room. I had my good friend and R&D/production guy at Optimum Extracts, Mag Hanfbauer, sharing my company, as well as my girlfriend, Heather, and a lot of industry types. Olalla soft drinks were present (I LOVED THE FRUIT PUNCH! ), Heather was enjoying some CBD infused Ale from Coalition Brewing, and the dabs brought from personal stashes were flashing on terp-delivering e-nails up in the dab shack. I hit some amazing Hindu Kush from Puffin Farms (omg super terpy) and something amazing from Megan at Kush Creams (available at Tacoma House of Cannabis) on her ridiculous rig. After quelling our desires for a warm, fuzzy “high” feeling, we settled in to our seats for a keynote speech from Dr. Ethan Russo. My mom, Grandma Cat Jeter, has always said that cannabis leads to harder things . . . like graduate school. Well, in this case, it led me to Dr. Russo’s talk, and it was nothing short of a seminar on the organic chemistry of the cannabis plant, including its cannabinoids and terpenes. 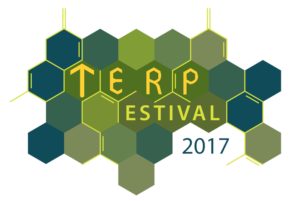 I highly recommend you take the chance to watch the 57 minute video about terpenes and cannabinoids at the link in his name, above. Dinner followed, and was a fabulous vegetarian Greek / Mediterranean catered spread from Eggs and Plants, the kitchen / eatery attached to the Seattle Glassblowing Studio. Falafel, tahini, red cabbage salad, hummus, pitas, and other wonderful goodies were stacked to the rafters, and delicious. After dinner and a few more refreshments, we settled back in to the audience area and watched the awards ceremony unfold. 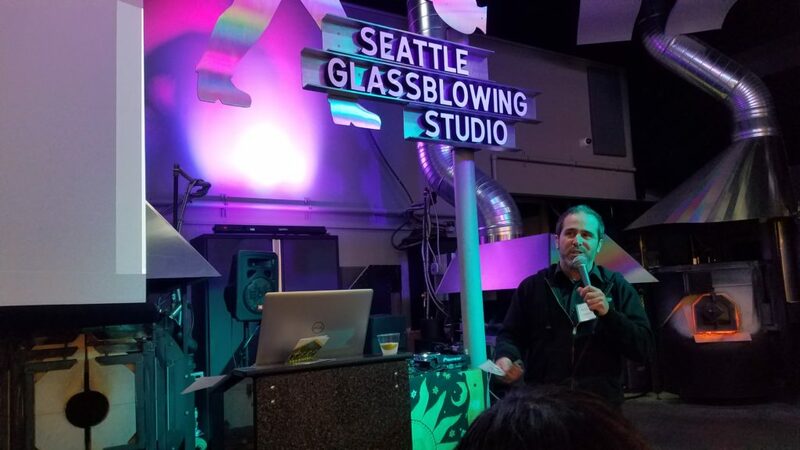 Custom glass awards were blown by Seattle Glassblowing Studio (see Duncan Rolfson’s photo below) handed out one after the other to celebratory representatives from the competing farms (full results below). As the evening came to a close, we said our goodbyes to friends new and old, thanked our hosts, and, taking with us some great knowledge about some amazing vendors, made our way safely into the night, onto the freeway, and home to Tacoma. The Cannabis and Social Policy mission is to promote public and private efforts to use cannabis legalization to end the war on drugs, or “prohibition.” We understand prohibition as a cultural, political and economic phenomenon that has been very useful to many different people in many different places as a means of social control, not protecting society. 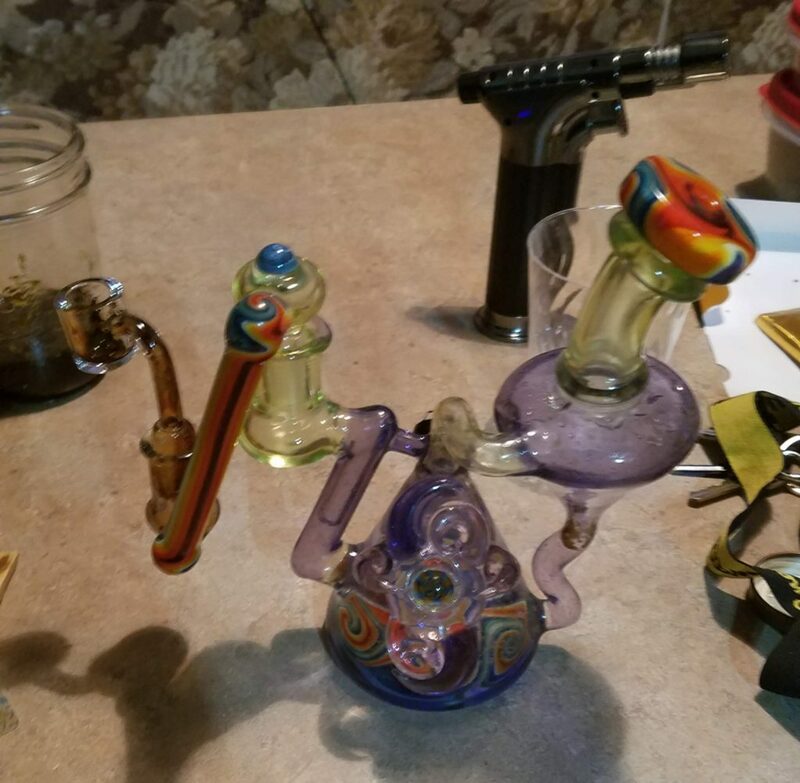 Megan’s ridiculous rig. Hits like a TANK.